Happy Chinese New Year! This year was our first time visiting so many houses with a baby in tow, and wow it was indeed more challenging than it looks! Because of that, I've never been more thankful for how everyone has tried to make our lives a little easier this CNY by helping out. Other than POSB installing their pop-up ATMs in various neighbourhoods - making it easier for busy parents like us to stop by and get new notes - we also had tons of fun with their new QR ang baos this year! Head over to my Instagram if you wanna see a video of our QR ang bao giving and how convenient it was for us. 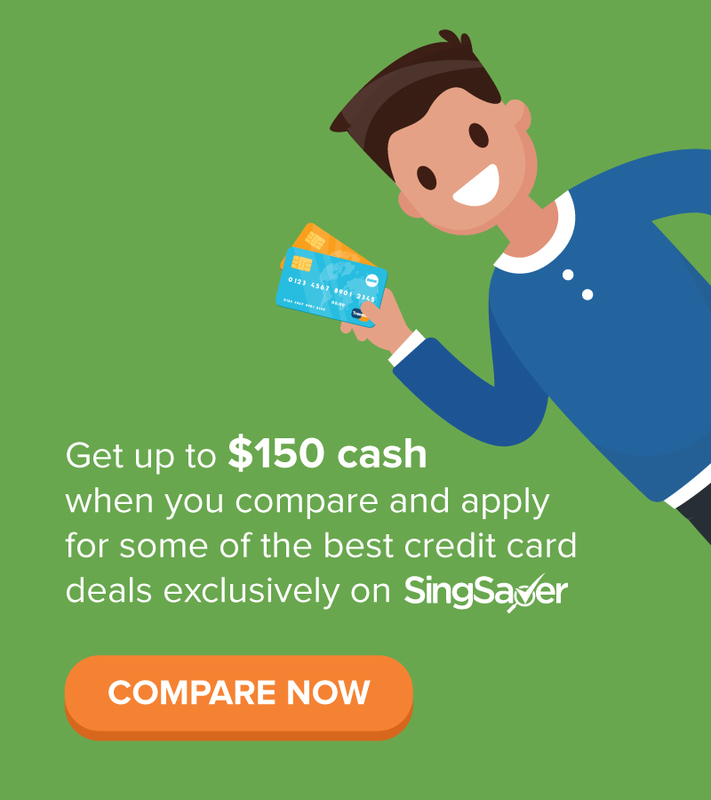 If there's one thing lacking in my SGBB Cashback App, it is that I'm unable to consolidate all the time-sensitive offers and promotions that the various credit cards have during special times like these. So until I figure out a way, I've to still manually research for all the offers across my various credit cards to see which I should be swiping in the period leading up to CNY, and during the festive month. But again, with limited time on my hands thanks to my darling baby who wants to be carried all the time, I wasn't able to do it this year. 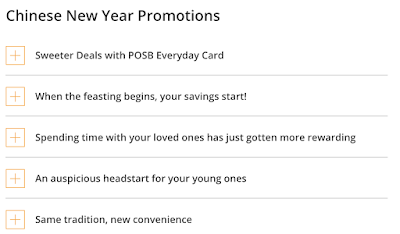 So I was incredibly grateful to see that POSB has consolidated all their CNY deals, promotions and perks on one master page for their customers to easily access and reference. It was designed by and for fellow parents in mind. Petrol: We topped up on petrol at the nearest SPC to get ready for all the trips between the multiple houses we have to visit this year. 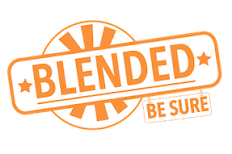 That saved us 20.1% in total - 10% discount on the SPC & U members card, another 5% discount because it is a DBS/POSB card, and a further 6% cash rebate for using our POSB Everyday Card. Free abalone: Don't forget to redeem your free can of Korea Baby Abalone (worth S$29.80) when you do your groceries and marketing at Sheng Siong and spend over S$168. You have till 22 Feb 2019 to claim this. If you're hosting guests but have no time (or kitchen skills) to cook like us, then how about getting 15% cashback when you order from online caterers or food delivery? Claim this by downloading the DBS Lifestyle App and be the first 10,000 to register with your POSB Everyday Card. A minimum spend of $800 is needed for the month, but we can hit that quite easily considering the number of people we need to feed this year. Do note that cashback for this category is capped at a maximum of $50, or approximately $333 of expenses. Get an extra 10% rebate on your ComfortDelGro taxi rides till 28 Feb 2019, for all that shuttling in between houses this CNY. 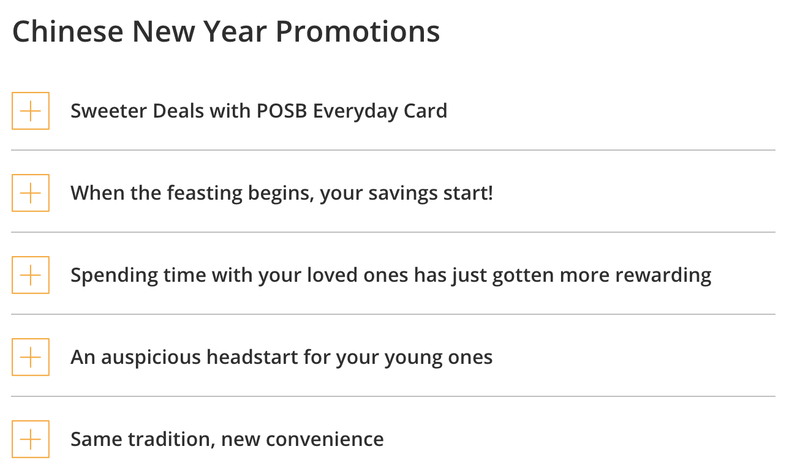 Always check online for the different merchant promos that POSB has going on as well to see what you can redeem with your card! The webisodes are not only relatable (I could catch a glimpse of my cheeky nephew in the Ang Pao showdown episode), but also hilarious while sharing about some of the deals POSB has for their customers this year. 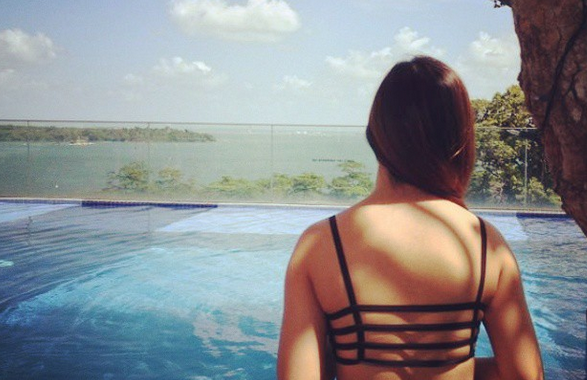 What is everyone up to on Day 2 of CNY? With more gatherings over the next week or so, you could always get entertained in between with these fun Po family webisodes from POSB! Watch the Po family drama unfold here on Facebook, Instagram, or Youtube in between your house visitations this CNY! 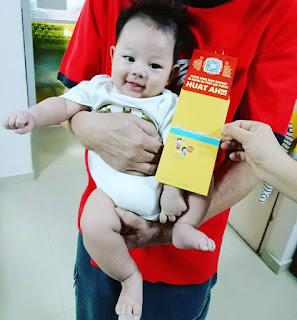 I'll be writing next about how we intend to grow my son's ang pao money, so stay tuned! 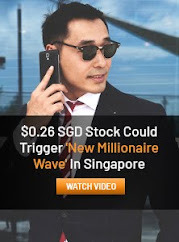 SGD deposits are insured up to S$75k SDIC. Disclaimer: This post is brought to you in collaboration with POSB.